Ten years after 9/11, Osama bin Laden is dead, and a former White House counterterrorism official says al Qaeda has never been weaker. But reports Friday of a new terror threat involving al Qaeda make it quite clear - this is no time to relax, observes CBS News homeland security correspondent Bob Orr. Still, the fact is -- al Qaeda is not the same force it was ten years ago. With not only Osama bin Laden, but dozens of his top operatives dead, core al Qaeda is on the ropes. And top security officials now openly question whether the group that carried out 9/11 is capable of another large-scale strike. Homeland Security Secretary Janet Napolitano says, "We've greatly inhibited core al Qaeda from the kind of attack we saw on 9/11. Our intel (intelligence) gathering is better, our information sharing is better." Such information led to Friday's heightened security over what's being called a credible threat. And while core al Qaeda may be dying, terror branches are gaining strength: al Shabaab in Somalia, and al Qaeda in the Arabian Peninsula in Yemen. That group dispatched the underwear bomber in 2009, and last fall, hid explosives inside printers bound for America. AQAP is innovative, determined, and apparently fixated on US aviation targets. "They are constantly looking at our defenses and adjusting their methods," points out Michael Leiter, a former director of the National Counterterrorism Center. "When we harden cockpit doors in our aircraft, they are going to look for different ways to take down an airplane." Counterterrorism experts warn another ongoing danger comes from homegrown radicals already living inside the U.S. and under any law enforcement radar. The attack on Fort Hood was carried out by a self-radicalized loner, inspired by a radical al Qaeda cleric. The attempted Times Square bombing in May 2010 was carried out by another solitary U.S. citizen, who'd received minimal training from the Pakistani Taliban. For New York Police Commissioner Ray Kelley, finding and stopping these so-called "lone-wolves" is the greatest challenge. He showed me a surveillance room from which "a couple of thousand cameras" can be accessed. "For us to say we can find all of those people is a pipedream," Kelly admits. "We do the best we can with the resources that we have." So the threat is different than it was a decade ago. 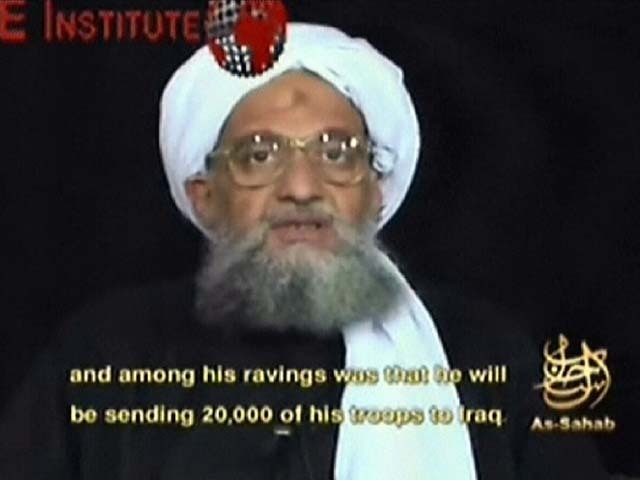 Al Qaeda is now more of an ideology than a physical group -- but the brand is still dangerous. At least six explosions rocked churches and hotels in Sri Lanka on Easter Sunday. A hospital official said scores were injured and at least two dozen dead. BBC News reports from the scene in Colombo.